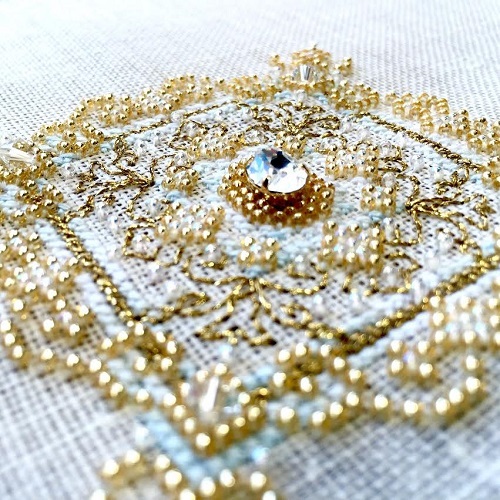 Found Love cross stitch wedding sampler is comprised of found objects. Shabby chic in style, with lace like details and tiles spelling out LOVE on the right hand side. The colours can easily be swapped out to the wedding colours or a more appropriate colour pallet to reflect the couple's taste. You can even add some charms or real buttons to add some depth and texture to the design. Pattern measures 122w by 122h and uses 22 DMC colours.